Bill Golding has enjoyed a wonderful reputation as one of Ireland’s finest actors and singers for half a century. His career has embraced hundreds of theatrical performances in major venues on both sides of the Atlantic. 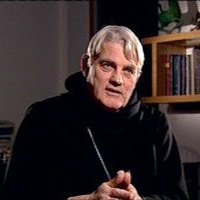 His repertoire includes many classics from Becket t to Shakespeare, to Arthur Miller and a list of definitive portrayals in roles including Oscar Wilde’s Lord Goring, Mr. Bennet in Jane Austin’s Pride and Prejudice and the Player King in Stoppard’s “Rosencrantz and Guildenstern are Dead”. As a singer, Bill’s rich baritone voice has graced the National Concert Hall Dublin on many occasions and has delighted audiences around America on several extensive tours with the RTE Concert Orchestra. His talent as a voice over artist displays an enormous range of accents and characters including the familiar “Old Mister Brennan”, “Mister Kipling” and the voice of The Irish Farmers Journal. Of course there were many, many radio and television appearances including the unforgettable Rory in “Wanderly Wagon”. One RTE production which encapsulates Bill’s incredible ability as an all-round entertainer also projects him as the definitive exponent of the works of Percy French in our time. In 1966 he starred as Percy French, in “The Last Troubadour”. To those of us lucky enough to have seen it, it remains a highlight of RTE production at its best. For anyone who had not that luck, Bill’s appearance at the 2012 Percy French Summer School will give a taste of what you missed. 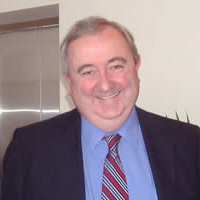 Bill Golding’s connection to the school dates back to a connection with Kevin Finnerty’s father John at the foundation of the Roscommon, Percy French Scholarship in 1967. Mary O’Donnell began her harp studies with the late Sr. Eugene McCabe at Mount Sackville School in Dublin and later with Fiona Norwood, Sebastien Lipman, and masterclasses with the renowned harpist and teacher Edward Witsenberg. She graduated from Trinity College Dublin with an honours degree in Music in 1996. She also completed an ARIAM in Irish harp and LTCL in Concert harp performance. 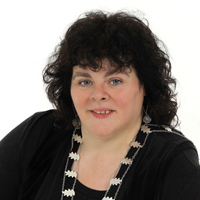 Mary holds a Higher Diploma in Education (TCD), a Masters in Musicology from University College Dublin, and a Ph.D from the University of Limerick. She has been a consistent winner at the Feis Ceoil, winning prizes in Irish harp, Concert harp, singing and composition. She has toured Europe, USA, Africa and Asia and appeared on RTÉ, BBC, CNN, and NBC. She has toured extensively in Europe, North America, Africa and Asia. 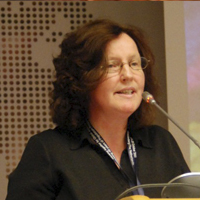 She lectured in Ethno musicology at the VEC (2000–05) and at the University of Limerick. Mary now examines with the Royal Irish Academy of Music, Dublin, and lectures at St. Patrick’s College, Drumcondra. 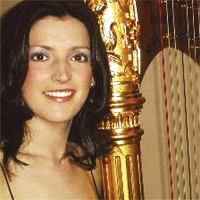 For the past fifteen years, Teresa O’Donnell has worked as a freelance harpist and singer throughout Ireland, Europe and USA, having graduated with an Honours Degree in Music and Irish from Trinity College Dublin and a Masters in Performance and Musicology. Teresa began her harp studies with the late Sr. Eugene McCabe at Mount Sackville School, and later studied with the renowned French harpist Sebastien Lipman, and attended masterclasses with Professor Witsenberg, Han Ann Liu and other international harpists. In 2000, Teresa received a Licentiate Diploma from the Royal Irish Academy of Music and a fellowship from Trinity College London. 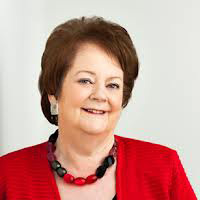 Teresa worked for four years as Music Education Officer for the Music Association of Ireland, organising concerts and workshops and was Assistant Administrator for Music in Great Irish Houses Festival 2005-2007. In 2012, she was awarded a PhD in Music Education at St. Patrick’s College, Drumcondra where she also lectured. Although originally from a classical background, she is equally at home in a multitude of genres from jazz, pop and traditional Celtic music to Broadway shows. A diverse musician, she has appeared on stage with Andrea Bocelli, Sinead O’ Connor, The Chieftains, The Celtic Tenors, Brian Kennedy, Tommy Fleming and Katherine Jenkins. Teresa has appeared on B.B.C., R.T.E. and C.N.N. Brendan Hoban was born in Ballycastle, Co Mayo in 1948. 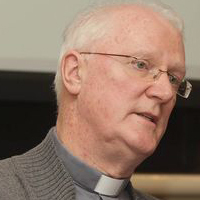 He attended Ballycastle Boys¹ NS, St Muredach¹s College, Ballina and St Patrick¹s College, Maynooth before he was ordained for the diocese of Killala in 1973, where over the last 40 years he served in seven parishes and for a term as Communications Officer. Since 1980 he has written a weekly column in the Western People and since 1989 has presented and produced Faith Alive, a religious magazine programme on Mid-West Radio. In 1997, he helped to found Céide, a review from the margins and in 2010 he was a founding member of the Association of Catholic Priests. He has written 14 books, most of them on church and priesthood, and more recently on ecclesiastical history, among them Turbulent Diocese, The Killala Troubles, 1798-1848. He is at present completing a trilogy on Readings in Killala Diocesan History, the first of which Trouble & Strife, Fifty Killala Priests was published this year. His latest book, Who Will Break The Bread For Us? has just been published. He has contributed regularly to journals like The Furrow, Spirituality, Studies and Intercom and to print and electronic media as a commentator on church affairs. He is at present PP in Moygownagh, Co Mayo. Luke Gibbons, is Professor of Irish Literary and Cultural Studies at the School of English, Drama and Media Studies, National University of Ireland, Maynooth, and formerly taught at the University of Notre Dame, USA, and Dublin City University. 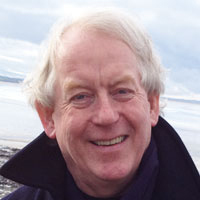 He has published widely on Irish culture, film, literature, and the visual arts, as well as on aesthetics and politics. 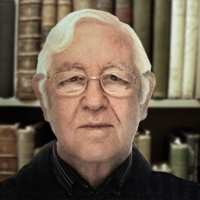 His many publications include ‘Ghostly Light: Spectres of Modernity in James Joyce’s and John Huston’s ‘The Dead’, in A Companion to James Joyce, (Richard Brown, ed., Blackwell, 2007) and ‘Famished Ghosts: Bloom, Bible Wars, and “U.P. up” in Joyce’s Dublin’, Dublin James Joyce Journal, 2 (2010). He won a Kaneb teaching award at the University of Notre Dame, where he co-supervised over twenty Ph. D dissertations. 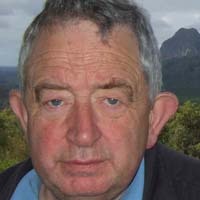 His research interests include film, modernism, romanticism, aesthetics, visual culture, critical theory and cultural history, particularly as they bear on developments in Irish culture. A former pupil of Wesley College, Dublin, and a graduate of Trinity College, he researched the Philosophy of Religious Language for an M Litt. He has spent 57 years in the pastoral ministery in Ireland and England. He has published a history of Christianity, 120 School Assemblies (mainly on world religions); and, more recently, a defence of religious language in a scientific age. For some years he was a Tutor in the College of Preachers Degree Course and is a Canon of Canterbury and Southwark Cathedrals. He was introduced to Percy French’s songs at school concerts – and by a singing group called The Antlers. More recently a former school classmate gave him some books of Percy French songs, which he occasionally sings in public! He considers Percy French’s observation of people, makes him a fascinating, if unsuspected, historian and psychologist!